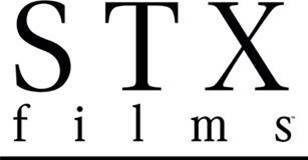 STXfilms, a division of STX Entertainment, and Lakeshore Entertainment announced on January 30, 2019 that "The Boy 2," a follow-up to horror film director William Brent Bell’s "The Boy" (2016), began principal photography on January 28, 2019 in Vancouver, British Columbia. Brent Bell returns to the helm following the success of "The Boy" (2016), which grossed $68M worldwide. Written by Stacey Menear, who also penned its predecessor, "The Boy 2" will be produced by Lakeshore’s Tom Rosenberg, Gary Lucchesi and Eric Reid, in addition to Matt Berenson, Jim Wedaa and Roy Lee. Following their recent collaborations on Pierre Morel’s action-thriller "Peppermint", starring Jennifer Garner, and the romantic drama "Adrift," starring Sam Claflin and Shailene Woodley, STXfilms and Lakeshore Entertainment continue their successful partnership with "The Boy 2." 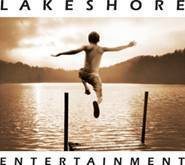 STX Entertainment, which is co-producing with Lakeshore, will distribute in the US, having jointly handled international sales with Lakeshore. Holmes is represented by Adam Schweitzer at ICM Partners and managed by Jason Weinberg at Untitled Entertainment. Christopher Convery is represented by Paradigm, Sinclair Management, and Jackoway Austen Tyerman Wertheimer Mandelbaum Morris Bernstein Trattner & Klein. Yeoman is represented by Adam Schweitzer and Dar Rollins at ICM Partners and managed by Ron West and Steven Kavovit at Thruline Entertainment. Ineson is represented by Donna French at Gordon and French, Alexander Yarosh at The Gersh Agency, and by Tim Beaumont and Elisa Christophe at Beaumont Communications. Brent Bell is represented by Harley Copen at ICM Partners.